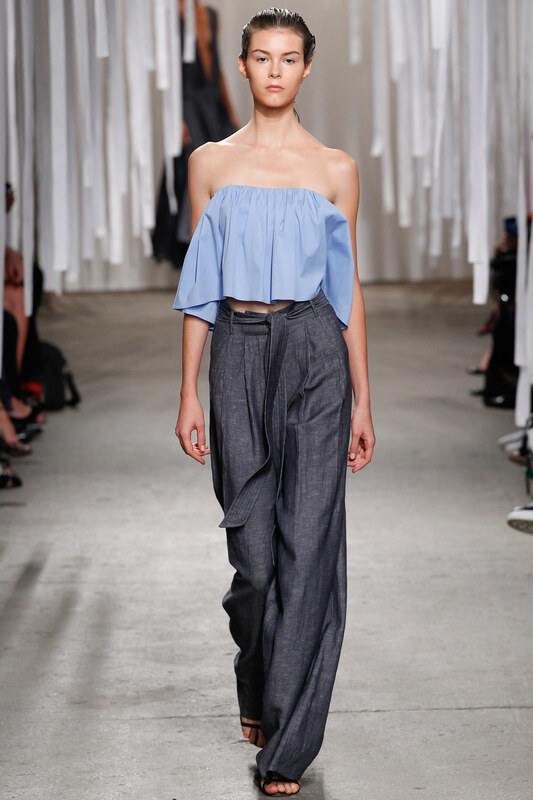 High waisted pants with tied self fabric sashes are making their way down the catwalks for spring 2016. Many are cropped, and most are voluminously cut. 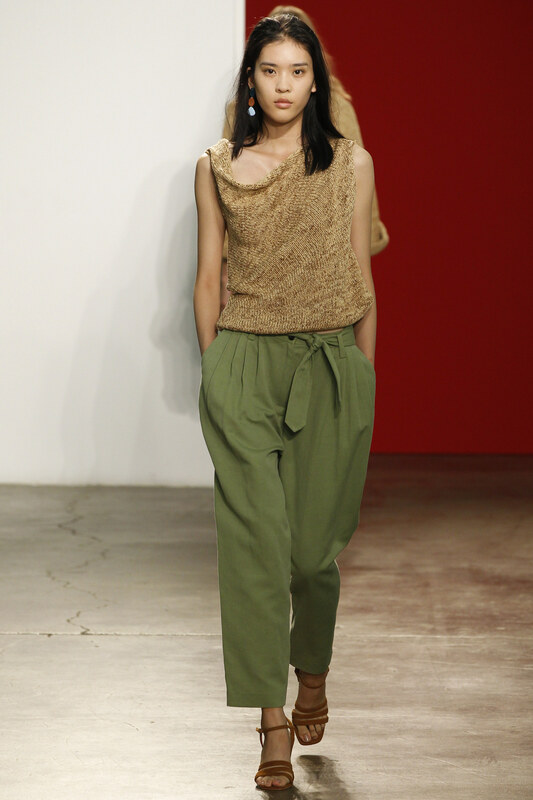 The good news, is that this look is already appearing in your favorite high street stores right now. Not only can you adopt the trend early, you can also be sure that it isn’t a flash in the pan that will look dated next season. 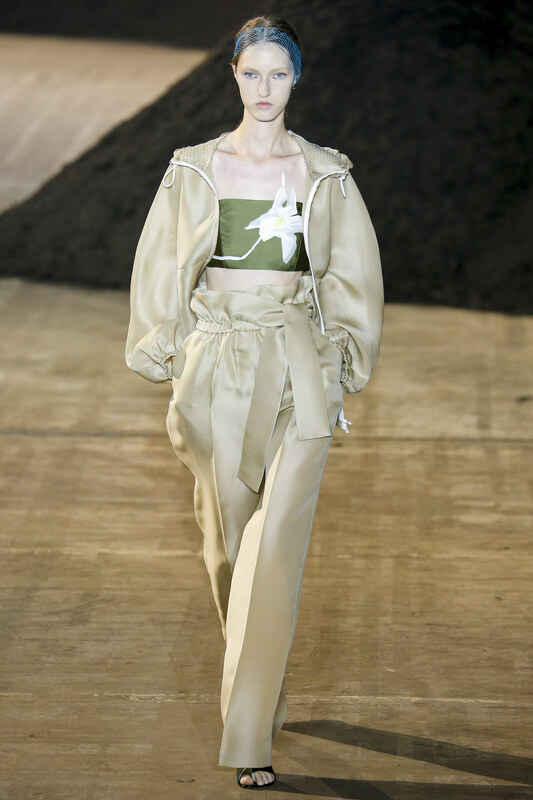 Phillip Lim showed paper bag waisted trousers for Spring, worn with a bandeau top and sporty jacket. 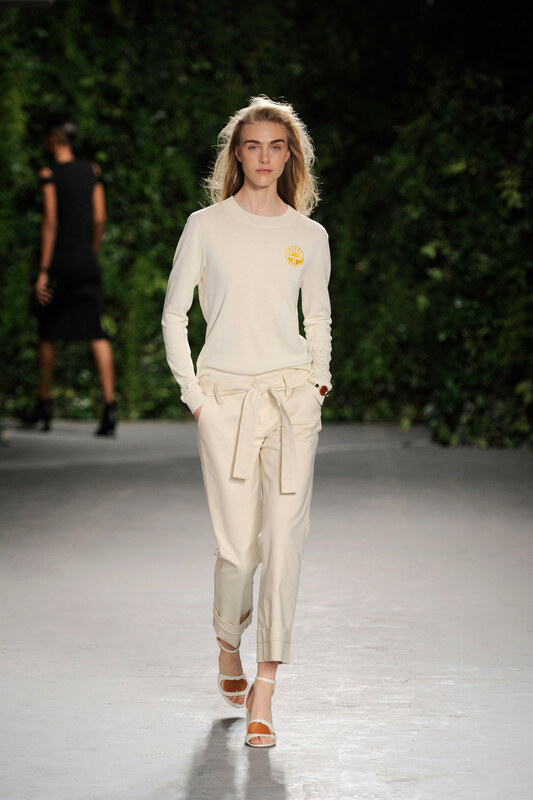 It girl favorite Tibi worked the look into a white skirt. 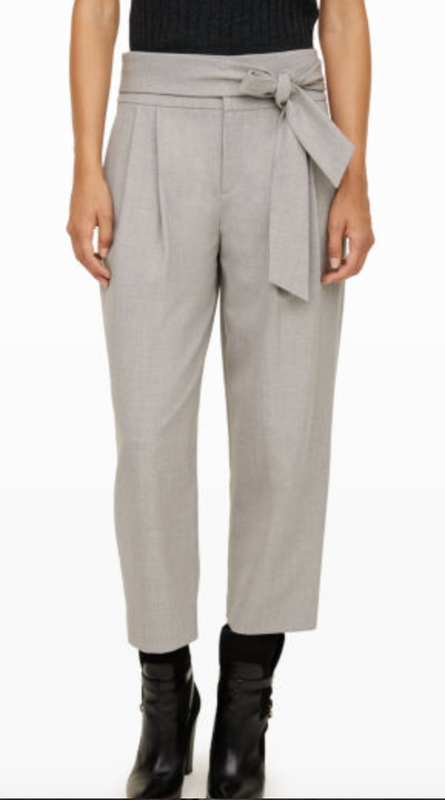 Club Monaco is ahead of the game with these transitional cropped trousers that are in the store now. Milly is on point, with fluid, wide leg trousers with a sashed waist treatment shown with another hot trend for spring, the shoulder baring top. Head to toe cream from Opening Ceremony. Zara never misses a trick and this time is no different. Start the fall season off with a charcoal grey cropped version available now. Club Monaco and Zara photos from their websites. This entry was posted on September 23, 2015 at 6:47 am and is filed under fashion. You can follow any responses to this entry through the RSS 2.0 feed. You can leave a response, or trackback from your own site.